Today, organisations face new challenges in protecting users and IT infrastructure from complex and targeted security threats, like advanced persistent threats and phishing attacks. This Complete Security training is specially designed to expose participant to perfect defence against all kinds of threats. The specially designed course is ideal for anyone involved in the design, implementation, administration and maintenance of Networks, (LAN, WAN & VPN ). Those wishing to be exposed to Network or upgrade themselves on Cybersecurity will also benefit immensely from the course. 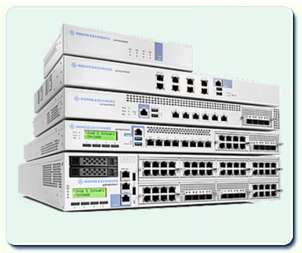 including Internet, Intranet / Extranet, VPN and branch office connections using the Rohde & Schwarz Cybersecurity – UTM unique approach. Data Protection Efficient protection techniques against targeted data theft and internal data loss: By secure connection of external branches and the protection of mobile terminals, to ensure company information and personal data remain confidential. Email Protection Techniques for effective, always up-to-date protection against cyber-espionage via hazardous phishing mails and manipulated attachments that infiltrate viruses, Trojans and other malware into the network. Endpoint Security Complete Security – the innovative endpoint technology for protection for networks and endpoints as well as reliable data security anywhere and at any time. Stopping Malware How to protect the entire company IT against malware, using the best possible combination of several defence mechanisms. Anti-virus, anti-Spam, URL and content filters, setup to work together perfectly. Secure Internet Use Online-based business protection. Protecting data theft via various internet use, e commerce, social networks as well as Cloud computing. Secure Connection via VPN Secure technologies for extensive VPN features for the fast and secure connection to a company network. Access Control Effective protection techniques against malware and industrial espionage. Bandwidth Management How to effectively manage your limited bandwidth to achieve quick response and uninhibited access to all important Internet services. Failure Safety How to implement redundant (Fail-Safe) and frictionless continuous and permanent operation of the network for smooth business operations.